What's an AED Defibrillator and how to chose? What is an AED / Defibrillator? It is estimated that approximately 300,000 people in the United States experience cardiac arrest each year. In fact, it is said that more men and women die from cardiovascular disease in the United States than any other illness. If you suspect that someone is experiencing cardiac arrest, it is critical that they are treated immediately. Cardiac arrest can claim the life of its victim in nearly 10 minutes, which may not give paramedics enough time to arrive. Fortunately, advancements in technology are increasing the odds of reviving people who are suffering from cardiac arrest. Through the use of an automated external defibrillator (AED) ordinary people can help save lives. Did you know that defibrillators can actually reestablish a normal rhythm...in turn, bringing back a normal heart beat? When a person goes into cardiac arrest, the heart no longer functions appropriately, causing starvation of oxygen. Without oxygen, vital organs begin to fail. A defibrillator can get the heart working properly again, restoring oxygen flow. Surprisingly enough, defibrillators first appeared as early as the 1890s; although it’s taken many more years to refine them. Today almost anyone can buy an AED, a defibrillator that is not much bigger than an IPAD. These innovative devices analyze the heart’s rhythm for abnormalities and direct the user to deliver an electric shock to the heart if necessary. What makes an AED truly amazing is its ease of use and dual function. AEDs use voice prompts to instruct the rescuer. Once the device is turned on, electrodes are to be placed on the victim’s chest. At this time, the AED will begin monitoring the victim’s heartbeat. If an abnormality is detected, the AED will prompt the rescuer to stand clear of the victim and press the shock button. The victim’s best chance for survival is within the first three minutes of collapsing. After the initial shock, the victim’s survival rate will begin to drop dramatically. If there is no pulse after the first shock, it is important to administer CPR and reanalyze the heart rhythm until an EMT or Paramedic arrives. A Philips AED is just one of the many trusted brands available to you. We also carry Medtronic Physio Control Lifepak CR plus, Medtronic Physio Control Lifepak 1000, Heartsine Samaritan Pad, Cardiac Science Powerheart G3, Defibtech Lifeline, Zoll AED Plus and all AED Trainers and Oxygen (02) units. Discounts are available when purchasing more than one AED. Our AED store also includes Pads, Batteries, Cases, AED Response Kits, AED Inspection Tags, and AED window / door stickers. First-aid and AED training can be invaluable. For over 13 years we have been teaching American Heart Association (AHA) and Red Cross certification classes. We are licensed and insured and have offices in West Palm Beach, Coral Springs and Fort Lauderdale and ship across the U.S. In addition to being a CPR company, we are an AED distribution center. We have a great knowledge of how AEDs are used and why they are so important. Some of our most satisfied clients include retail stores, churches, dental offices and universities. If you reside in Miami, West Palm Beach, Coral Springs or Fort Lauderdale, Florida, you’ll be pleased to learn that AED and CPR training is available. 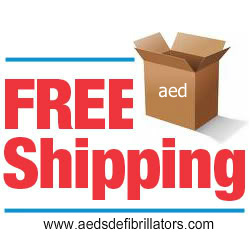 We also ship aeds all over the United States. While using an AED machine is relatively simple, an AED training course will enforce appropriate responses to life threatening situations and provide information that will increase the chances of successful rescue. In addition we offer many other courses including CPR, AED, first aid, BLS, PALS, ACLS, oxygen and bloodborne pathogens. Each course will provide you with a 2 year certification in that particular subject. The CPR Combo Class allows you to obtain a certificate for CPR, AED and first aid covering adult, child and infant all on the very same day. If you’re interested in purchasing an AED or Learning more about CPR, please visit our CPR Schedule or AED store or contact us to learn more. We accept Purchase Orders, Visa, Mastercard, American Express, Paypal, Google Checkout, checks, purchase orders, cash & phone orders. 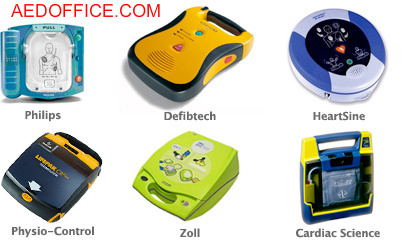 *Do not just buy an AED from any internet site. 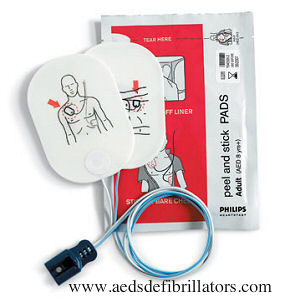 Buy aeds from us - a top rated company. We are BOTH a CPR training company and an AED distribution center. We teach, use and know these defibrillators. We ship all aeds with the new guidelines and can provide you with aed medical direction, prescription and oversight. We also have web based battery, pads and training tracking software. We will investigate your needs and tell you which unit to buy, where to place the aed, if you need certain pads or cases and can provide cpr and aed training. We guarantee to give you the lowest prices on Philips Onsite, frx, fr2, Medtronic Lifepak cr plus, Heartsine Samaritan pad, Powerheart g3, Zoll AED Plus and Zoll AED Pro, Defibtech Lifeline and all aed trainers and oxygen (02) units. philips heartstart AED defibrillators phillips onsite home fr2 trainers zoll aed defibrillators medtronic physio control cr plus defibtech lifeline samaritan pad cardiac science powerheart g3 frx aed's What is an AED? An AED or Automated External Defibrillator is a user-friendly, portable, battery operated electronic device designed to automatically diagnose a sudden cardiac arrest victim’s cardiac arrhythmias of ventricular fibrillation and ventricular tachycardia, and treat him/her by administering an electrical shock which stops the arrhythmia, allowing the heart to re-establish an effective rhythm. AEDs are simple to use, and with proper CPR training, highly effective at saving lives. Because AEDs are battery operated and their pads expire, it is essential that they be inspected regularly. AEDs are easy to maintain and their inspection can be done in just a few minutes. Each AED should be inspected at least once per month to verify that the ready light is on and that the battery, electrode pads and rescue ready kit is complete and up to date.